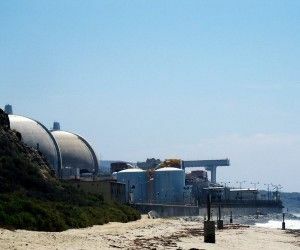 Last year Southern California Edison mothballed its 2.3 gigawatt San Onofre Nuclear Generating Station. 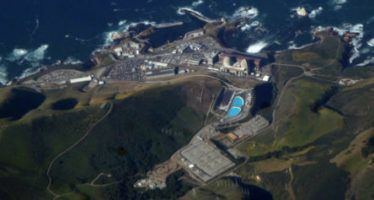 As CalWatchdog.com reported at the time, the actual reason probably was mechanical defects caused from retrofitting the plant to ramp up and down rapidly to back up erratic green power. The Environmental Defense Fund and other green advocates now are celebrating that California is replacing the loss of that nuclear power with solar and wind power, electricity storage, energy efficiency and peak-load curtailments. The California Independent System Operator, which runs the grid, proposed to procure 50 percent of that lost power from “preferred resources,” meaning anything but fossil fuels. However, the reality is San Onofre generated 2.2 gigawatts of clean energy, while Edison is only looking to replace that with 46 megawatts of green power — about 1/40th of San Onofre’s prior generating capacity. The rest of the load will shift to natural-gas power. The reason: All electrons do the same work, but don’t arrive at the same time. San Onofre’s power was constant, 24/7. Wind and solar are unpredictable. Source: Southern California Edison, Local Capacity Requirement Request for Offers for West Los Angeles-Moorpark Sub-Areas. So 76.7 percent of the power to replace San Onofre is coming from new fossil-fuel natural gas-fired electric generating plants. Ironically, according to The Carbon Brief, studies from Europe show “gas power costs twice as much if it only runs half the time.” That’s because it costs money to just ramp up and ramp down power plants. Not all of Edison’s procurement is to replace lost power from San Onofre. Edison also must replace 17,500 megawatts of power lost from the retirement of six other coastal power plants. The retirement is needed to comply with requirements to shift from using ocean water to cool steam plants to air-cooled systems in order to protect fish larvae. The plants to be retired are: Humboldt Bay 1 and 2, Potrero, South Bay, Morro Bay 2 and 4 and Contra Costa 6 and 7. Why new power must be sited in Orange County and L.A.
“AES Southland is currently developing plans to replace its existing natural gas power plants in Long Beach, Huntington Beach and Redondo Beach with modern, more attractive and far more efficient facilities, which will take up less space at the sites. Modern and more flexible natural gas plants are critical to integrate renewable energy into the electric grid and help California meet its important clean energy goals. First, voltage is like water pressure in a hose. San Onofre created enough voltage to “pressurize” the power grid so that electrons would flow smoothly. By contrast, green power cannot provide much, if any, voltage because it is not consistently available to the power grid 24/7. It’s like taking a shower where the water cycles on for 1 minute, then off for 3 minutes. Second, to prevent any future big transmission line outages, called an “N-1-1 event.” N-1-1 means the number of transmission lines (N) that are lost in a catastrophic event is 1 and 1, or 2. Edison must plan for two transmission lines going down simultaneously. The problem with two lines being out of commission at once is overload that could create a cascade of shutdowns throughout the entire state grid. Third, the Duck Chart Problem, which CalWatchdog.com detailed last month. Basically, the Duck Chart shows there is a demand in California to ramp up 13,500 megawatts of conventional power in a narrow two-hour window of time at sunset each day to replace solar power going offline. That would be enough power for about 6,750,000 homes per hour. The imported electrons are the problem because they must be transmitted on transmission lines that may be out of service in a catastrophic N-1-1 event. So local power sources are preferred. Fourth, the old Encina Power Plant in Carlsbad has been shut down and is being retrofitted for an ocean water desalination plant and new co-generation natural gas power plant. Unless you’re a caveman hiking in Yosemite, barefoot and naked, virtually everything you see, touch, and use in your daily lives is derived from the benefits of our use of one or more of the fossil fuels; oil, coal and gas. The availability of cheap, plentiful, reliable, scalable, and dependable supplies of fossil fuels has industrialized the world and improved every aspect of the lives of billions of people worldwide. Fossil fuels have dramatically improved our ability to make our environment healthier and safer from natural and man-made threats. Fossil fuel energy, by enabling us to cheaply build and run wondrous machines that give us the mobility to choose any particular climate and the ability to increase the livability of the climate, has made us masters of climate. The increasing use of fossil fuel energy has been the foundation of the industrialization of civilization from the development of machinery and products for: transportation systems, sewage treatment, sanitation systems, water purification systems, irrigation, synthetic fertilizers and pesticides, genetically improved crops, agricultural productivity, dams, seawalls, heating, air conditioning, sturdy homes, drained swamps, central power stations, vaccinations, pharmaceuticals, medications, eradication of most diseases, improvements in manufacturing productivity, electronics, communication systems, and so on. As the use of fossil fuels has been accelerating over the decades and will continue throughout the developed and the developing countries worldwide, supporting every infrastructure and every industry, the use of antipollution technology has dramatically DECREASED the major pollutants that come from fossil fuels. Thanks to technology we have been able to minimize, neutralize, and reverse pollution.  Over time, these technological advances, as they became economical, became mandated by law. Case in point, in the past 40 years, California’s population has nearly doubled to its present 38 million, but the air quality has gotten better, not worse. While these intellectual luddites are sort of correct at least temporally, one day in the future these ignorant comments will appear funny. The last thing in the world a dictator, tyrant, or emperor wants is a happy, comfortable population of serfs. We will destroy freedom and liberty, that is the goal. We will use everything possible in the name of the Environment to make as many people we can, dependent on government. They will vote for us just to keep their pitiful lives intact. The more people that depend on us the better off we are. Get used to sitting in the dark and may those chains rest lightly on your skin. Despite calls for a resurgence in nuclear power, California could soon shutter its effort to keep the alternative energy going.